It's fun to be turning 21 with our discounted range of Sparkling Gold 21st Birthday range and Sparkling Pink 21st Birthday range of tableware (plates, cups, napkins, tablecloths, centrepieces, etc). Accent these with 21st Birthday balloons, Megaloon Statement Balloons and Photo Stick Props.... To see how I used these centerpieces in my table decor and a lot more inspiration for your upcoming parties, go check our my blog at Follow along on social media! And to incorporate the balloons colors, we used foiled gold leaf napkins, blush pink plates, simple coupes, and gold flatware to accompany each setting, and allow the bright color of the Blackberry Blitz cocktail to really pop.... 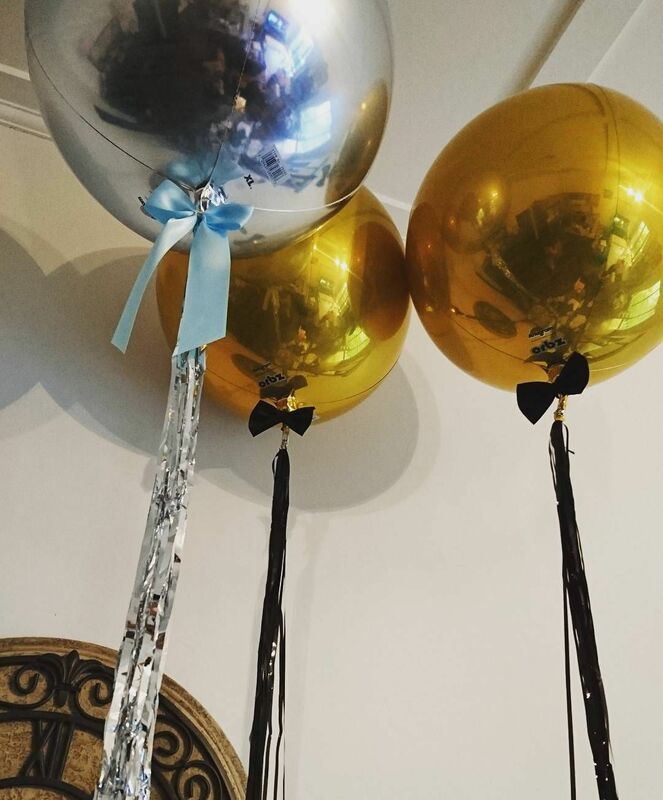 Giant round balloons add cheer and color to your celebration, while gold garland strings lend a hint of glamour. Balloons, MarthaCelebrations (available at jcpenney.com). 27/09/2017 · How to make confetti balloon centerpieces with lights! I am in love with these balloons that already have confetti printed on them, no need to fill! 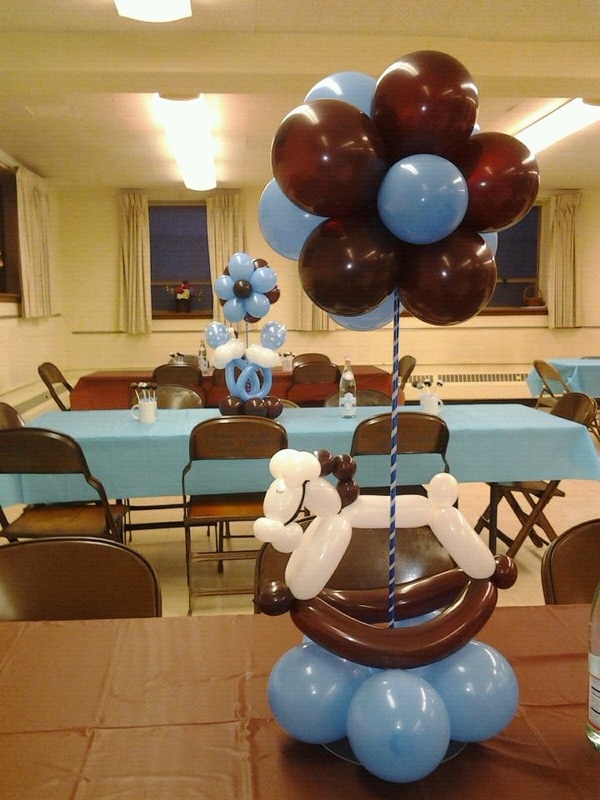 how to make a note on black desert 21st Birthday Party Supplies Online Party supplies and decorations for 21st birthday parties including 21st Birthday balloons, banners, decorations. 21st Birthday tiaras, sashes and glittered champagne and wine glasses and wine goblets. We stock quality 50th birthday party and table decorations along with our popular personalised banners. We have a brilliant range of 50th birthday party supplies and tableware including paper plates, tablecloths and napkins designed for the occasion as well as guest books, albums, table confetti, balloons and some great gift ideas. What others are saying "farewell my black balloons." "Black balloons for monochrome chic" "black balloons - how dark and yet festive!" "The black balloons show a contrast of the white background"
Our Mini-Giftbag Balloon Weights are just perfect for the tabletop, or they can be used as a decorative centerpiece. The extra large handles make attaching a number or curling ribbons a snap! The extra large handles make attaching a number or curling ribbons a snap!